sonia eidse is a singer/songwriter from winnipeg, canada. making reflective alt-pop, both her delicate voice and melancholic sound create a subtle mystique, stirring the heartstrings of its listeners. influenced by roberta flack, ella fitzgerald and kate bush, eidse began her vocal training when she was a child and continued throughout her teens. she’s kept a journal of musings and poetry throughout most of her life and after learning guitar at 16, used them to create songs. 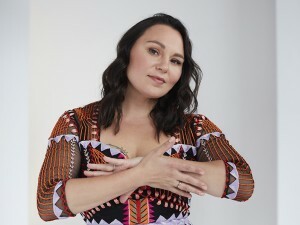 in 2010, she recorded her first demo of songs and earned herself a spot in aboriginal music week and amp camp, a weeklong music retreat for indigenous musicians from across canada. 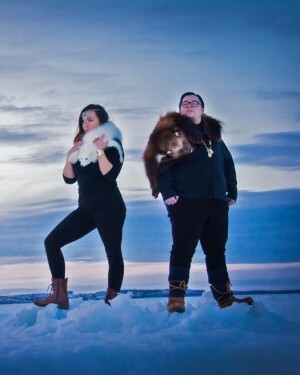 the experience opened up a world for the young métis, playing a pivotal role in her pursuit in music. in 2012, eidse self-produced her first ep entitled acoustic vol 1 and 2, a set of solo performed songs, giving away copies at local shows. pushing herself outside of her bubble, the timid songstress continued playing at venues and festivals throughout the city, while developing her craft. after taking a short hiatus to become a new mother, eidse returned to the music scene in november of 2016, releasing her self-titled 4-track ep. “…dreamy. with each note stretched as far as possible, eidse’s vocal performance lands like a silk parachute, or a slow-rolling fog” audio femme 2017.
she is now in the midst of producing her first album with producer rusty matyas, which she hopes to release this year.